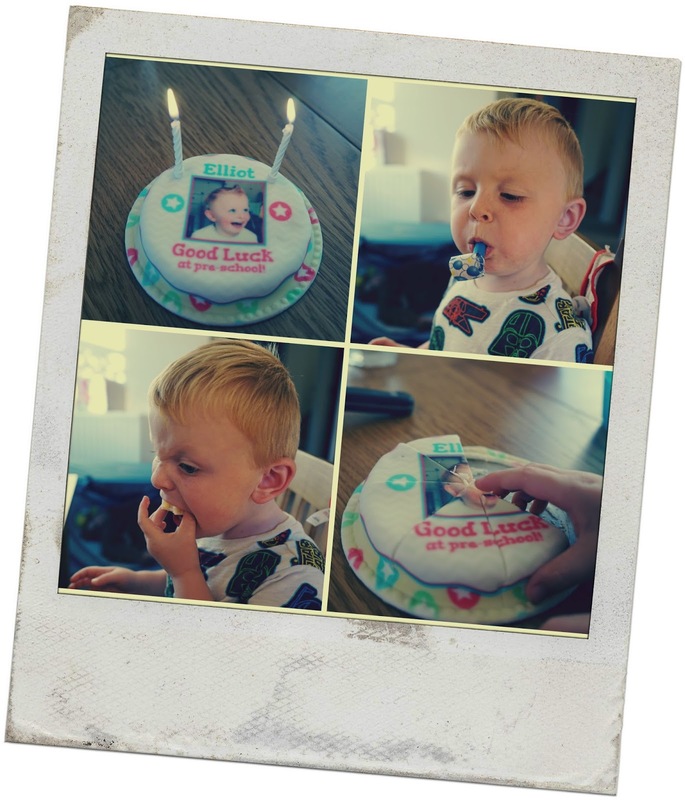 Entertaining Elliot: Baker Days Letterbox Cake and Giveaway! 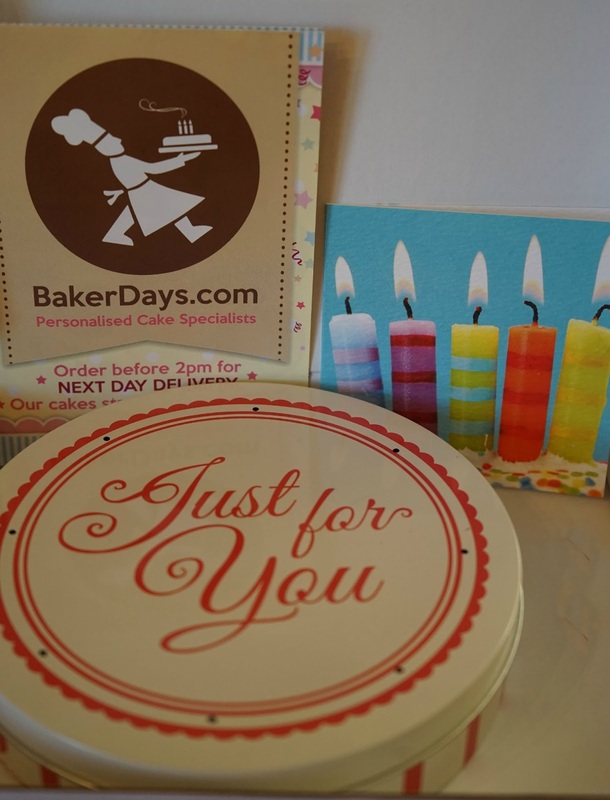 Cake is one of my favourite things in life so when Baker Days contacted me to see if we'd like to review a cake, it was a tough decision!!! Baker Days are a UK company based on the edge of Sherwood Forest. They create personalised cakes of all sizes, for every occasion. And not just your standard sponge cake either - they have a variety of different cake options such as chocolate chip, fruit, gluten and dairy free. You can upload your photo to appear on the cake or choose from their huge selection of designs. If you prefer cupcakes then even these can be personalised! When my parcel arrived and I opened the box (which fit through our letterbox perfectly! ), I found a lovely little gift tin which contained the cutest little cake I have ever seen. Not only did it smell amazing but it looked brilliant! I asked Baker Days to design me a cake for Elliot as he was starting pre-school and I was really pleased with how it looked. The photos don't do it justice but the image on the cake came out brilliantly. The letterbox cake is 5" which is enough for 3-4 portions of cake. I wondered how the cake would stay put on the way to us but the icing is stuck down to the board which keeps it secure. Along with the cake and the lovely tin, there was a little package containing balloons, candles and a blower - perfect for your own mini party! The Letterbox cakes start from £14.99 which may sound a little pricy but I think if you wanted to send something a bit special and a bit different then it would be a perfect choice. And who doesn't love cake! The giveaway will run for one week and will end on 20th September at Midnight. UK entrants only please....good luck! I love Victoria Sandwich Cake! A very chocolatey chocolate cake! Chocolate cake is my favourite but I like all varieties!